For years it’s been impossible to see illegal acts happening at sea, from overfishing to human rights abuses. Now that’s changing, says Jacqueline Savitz, in this article from BBC Future. 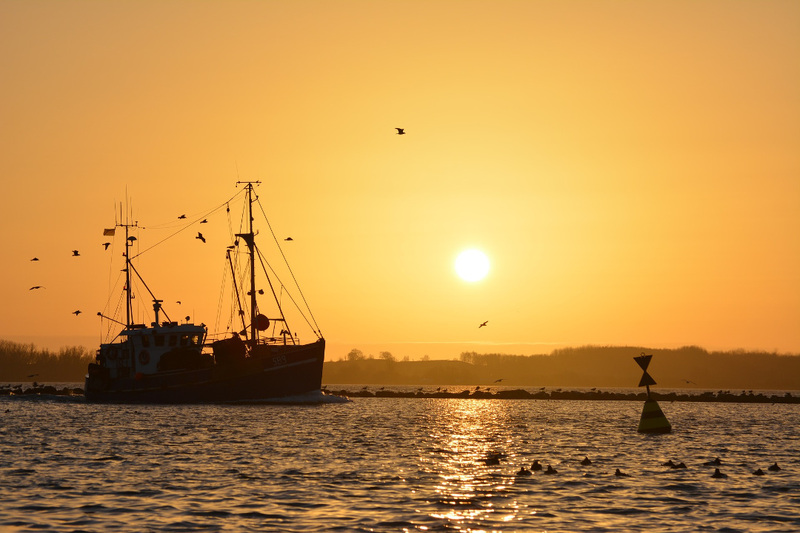 As we approached World Oceans Day on 8th June, it was sobering to reflect on the fact that industrial fishing now occurs in more than 55% of the ocean – an area more than four times bigger than all the land used for farming. The vast majority of fishing vessels follow the rules governing fishing – but many are not, and these bad actors can cause a lot of damage. Vessels may take too many fish ­– overfishing – which is causing our fisheries to collapse. Then there is the problem of illegal fishing, which can occur in protected areas, in another country’s waters or on the high seas. Many countries simply don’t have the capacity to enforce fishery management rules. As a result, illegal fishing has become a multi-billion-dollar industry, worth up to $23bn each year. Because of overfishing – both legal and illegal – one third of fisheries assessed in a study by the UN Food and Agriculture Organisation were overfished and over half were fully fished. This threatens jobs and food security for millions of people, all around the world. The trouble is, so much of this illegal activity is hidden – it happens out to sea, making it difficult to scrutinise what individual vessels are getting up to. To address the problems facing our oceans, we need to know what’s happening beyond the horizon. Fortunately, we are now beginning to see what happens after commercial fishing vessels leave port. The data that underpins the map above is helping to make fishing activity at sea more transparent. In September 2016, my colleagues and I at Oceana – an advocacy organisation focused on ocean conservation – launched a mapping platform called Global Fishing Watch, along with Google and SkyTruth, a non-profit that uses satellite data to encourage environmental protection. The interactive map we created allows anyone in the world with an internet connection to see the activities of the commercial fishing fleet globally, in near real-time, for free. Since then, Oceana and others have been using this data to spotlight suspicious activities at sea. The reason we can see these ships is that most large vessels use a tool called the Automatic Identification System, or AIS, to broadcast their location via satellites, so that other vessels can track them and avoid collisions. We can use that data to see the paths of more than 70,000 fishing vessels. Then we run them all through the Global Fishing Watch algorithm, and use machine learning and cloud computing to identify when they are fishing. The resulting “heat map” then shows us where the fishing is likely happening. But with hefty fines at stake, why don’t rogue vessels simply switch off their AIS tracking? For starters, many countries require it for vessels of a certain size. Also if they do switch off AIS, they jeopardise the safety of their vessel and crew, putting them at a higher risk of colliding with another vessel – especially at night. This behaviour in itself may also indicate that a vessel is intentionally avoiding detection to hide suspicious or illegal fishing activities, such as fishing in protected areas, transferring illegally caught fish to another vessel, entering a country’s waters without authorisation or violating other fisheries laws. It would certainly warrant further investigation. Sometimes we can spot it happening– it’s like the lights go out. We will see a track line and then it may disappear for days, before reappearing to return to port. Another activity that we can now keep a closer eye on with the help of Global Fishing Watch is called “transshipping”. With transshipping, vessels can transfer their fish catch to another boat, called a refrigerated cargo vessel, and refuel at sea to avoid having to go into port. While transshipping can be authorised, there are also places where it is not allowed. Transshipping allows vessels to stay at sea for many months at a time. In fact, we have found some vessels that did not touch land for more than a year. Transshipping allows them to not only stay on the water longer, and fish further from home, but also to avoid the scrutiny that might await them in port. They may avoid reporting their catch because they overfished or illegally fished. Or they may be hiding human rights abuses, like trapped workers who wish to leave, which unfortunately does occur. Governments can play a role in transparency on our oceans, too, by publishing their private vessel tracking data (called vessel monitoring system data) to provide a more complete picture of fishing activities at sea. Indonesia made a big step in transparency when the government published its vessel tracking data in Global Fishing Watch, which filled in a lot more fishing activity in that region of the world. We’re working with the Peruvian government to do the same. With more data, we all get a more complete view of fishing activities worldwide. So, while there still remains some mystery about what happens on many of the ships that bring you your seafood – we are gradually getting a fuller picture. Jacqueline Savitz is chief policy officer for North America at Oceana. This article was originally published as how to spot the secretive activities of rogue fishing boats at BBC Future on 07/06/18.